“So yes, the Internet of Things is growing significantly but perhaps more important from a business perspective is the recognition of the benefits that result from connecting devices to the web. This has seeded the makings of a brave new world for enterprising entrepreneurs looking to capitalize on a market projected to add almost $2 trillion in value to the global economy by 2019“. It’s the tech term du jour: the “Internet of Things.” Simply stated, it’s the connection of technology devices to the Internet, everything from smartphones, coffeemakers, cars and lamps to anything with an on-off switch. In many ways, the move has been almost inevitable with the cost of broadband Internet decreasing, the creation of more devices with Wi-Fi capabilities and the penetration of smart devices further into the human experience. The Internet of Things is just the logical next step. So yes, the Internet of Things is growing significantly but perhaps more important from a business perspective is the recognition of the benefits that result from connecting devices to the web. This has seeded the makings of a brave new world for enterprising entrepreneurs looking to capitalize on a market projected to add almost $2 trillion in value to the global economy by 2019. Hospitals collect a massive amount of data. But what if that information were connected to a central or aggregated intelligence-management structure that allowed for deep, complex analysis. Sure, the distribution of drugs and monitoring of blood pressure is observed regularly by hospital staff. With the Internet of Things, this data could be channeled into activities to dramatically improve care, reduce the length of stays and lower the transmission of disesases and infections rates. Take a moment to consider the typical manufacturing facility. It might be made up of hundreds of tools and processes. Many of these likely produce intelligent data that could be used to improve efficiency. At an automobile manufacturing facility, dozens of tools are connected to networks and storage devices, but more often than not this information is kept in discrete silos. The Internet of Things could deliver this information to a central intelligence forum, where it could then be used to more quickly improve processes and achieve operational goals. Historically, retail operations have had very few functions fully connected. Sure, point of sales systems have been connected to inventory management systems and security systems have become intertwined with video, audio and sensory technology. But overall, this has been only done mostly on the individual store level and has provided little opportunity for retail franchises to manage. Today, with customers calling the shots and demanding a world-class consumer experience, the Internet of Things can play a central role in delivering it. When customers call, agents could figure who they are, their buying history and what they might ant to buy next. The Internet of Things can allow for innovation, a sales lift and a happier customer base. Sensor enablement. 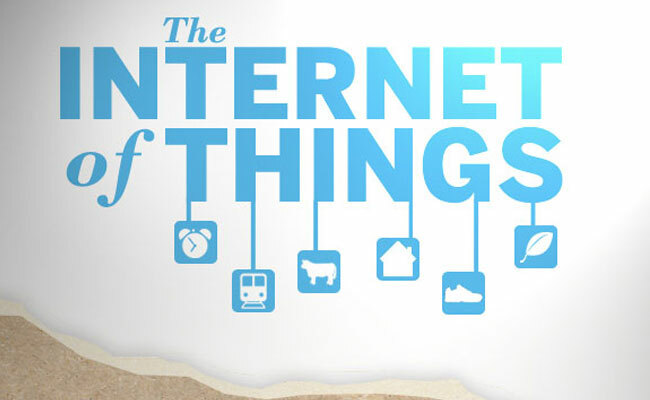 The benefits realized from the Internet of Things are only as good as the data that feeds it. Development of sensors for the machines, gadgets, transportation systems and people that fuel Internet of Things will continue to grow. Data analytics. The need to dig deep and provide well-informed recommendations based upon real-time data will increase astronomically. At first, such services might be performed in-house staffers or by consulting firms. Over time, however, it will need be done by business professionals who are well-versed in the specific skills. The need for intelligent software that can perform this type of analysis for business-minded end users to act on is no doubt rising. Infrastructure investment. Deployment of the Internet of Things requires strong, innovative and secure network infrastructures. More bandwidth will be required to handle the higher demand, data usage and new users involved with the Internet of Things. With projections from Gartner showing that by 2020, the Internet of Things will support a base of 26 billion devices, the time to act is now. The opportunity to help deliver and do consulting related to the network infrastructure expansion will only continue to grow. The Internet of Things is slated to change business as usual. It will provide the opportunity to create unique, practical and innovative products and services for a new generation of consumers. Getting there will require hard work and ingenuity and entrepreneurs are suited to deliver just that.